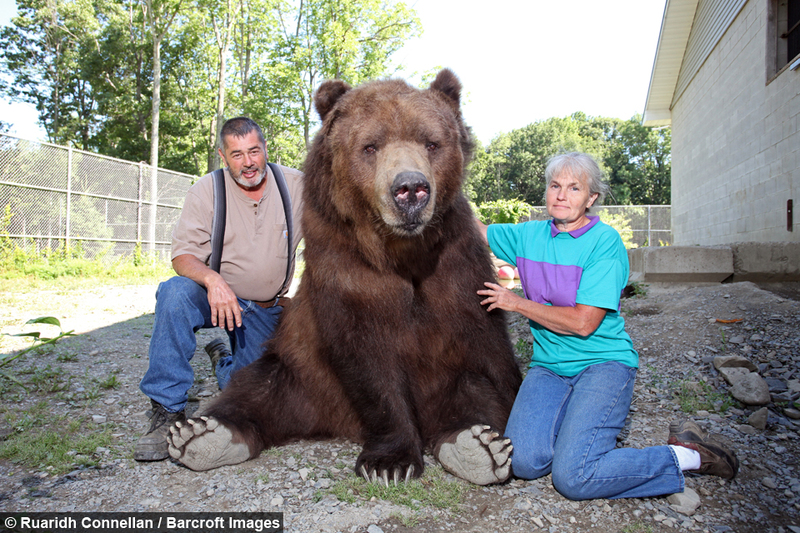 But spare a thought for Jim and Susan Kowalczik whose main charge is a huge 1400lb Kodiak brown bear. 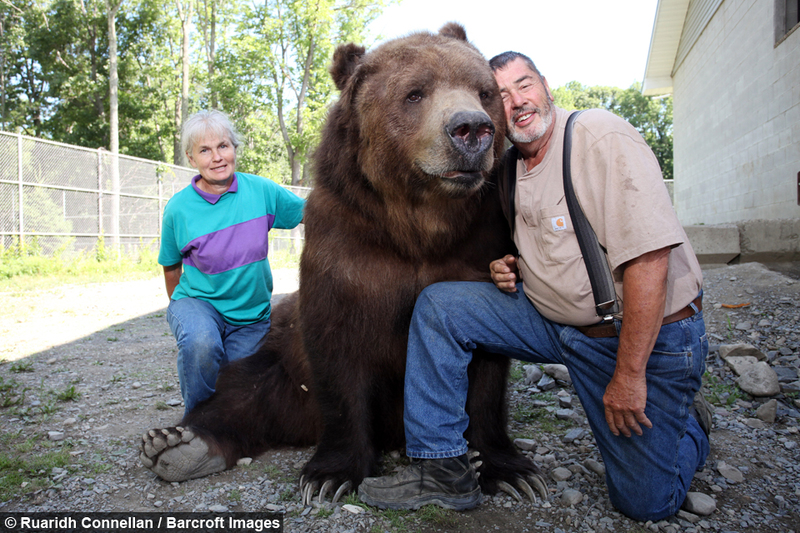 The couple look after the 9ft giant at their orphanage where they have dedicated their lives to rescuing and releasing injured animals. 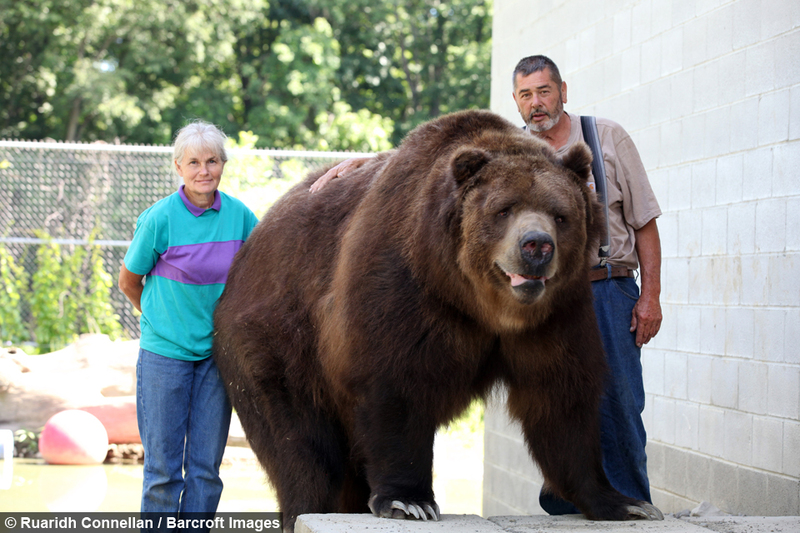 They now care for 11 bears, including Kodiak brown bears, Syrian bears and black bears on their 100 acre estate. Most were rescued as cubs from breeding programs or nature reserves that closed down. This includes 21-year-old Jimmy, who became a global sensation when a video of him cuddling up to Jim, 57, went viral last year. The retired corrections officer said: "Jimmy is my best friend. It doesn’t get any better than that. He loves you just for you. “He’s very gentle but sometimes he doesn’t know his own strength - like if you’re trying to walk away he will grab your clothes or shorts and pull you back to him. “Think of the strongest person you know and magnify it by a thousand times - that’s how strong they are. "He has so much strength. All he’d have to do is lay on you. “The bears are like our children. That’s how much we love them and they give a lot back to you too. They love you just as much. “Our bear family is like every other family. You love them to death but then there are other times when they drive you nuts. “They will knock you around a little bit - but not maliciously. You just have to watch that you don’t get scratched or poked in the eye or something. “They could kill you. They’d just have to hit you one time." Jim and Susan began rescuing and rehabilitating bears more than 20 years ago but only formally opened it as the non-profit Orphaned Wildlife Centre in 2015. They also rehabilitate small animals including squirrels, chipmunks. rabbits and deer at the facility in Otisville, New York. The aim for most of the orphan bears is to release them but many of the animals are suffering from injuries that would make it impossible for them to survive in the wild on their own. 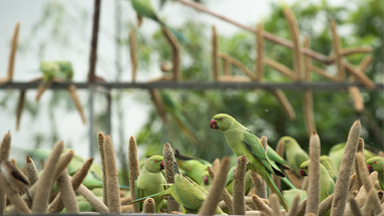 The animals require full-time care and feeding, feasting on up to 30lbs of food a day - including a mix of meat, pet food, fruit and occasionally marshmallows as a treat. They have gotten to know each bear in detail and understand their different personalities. 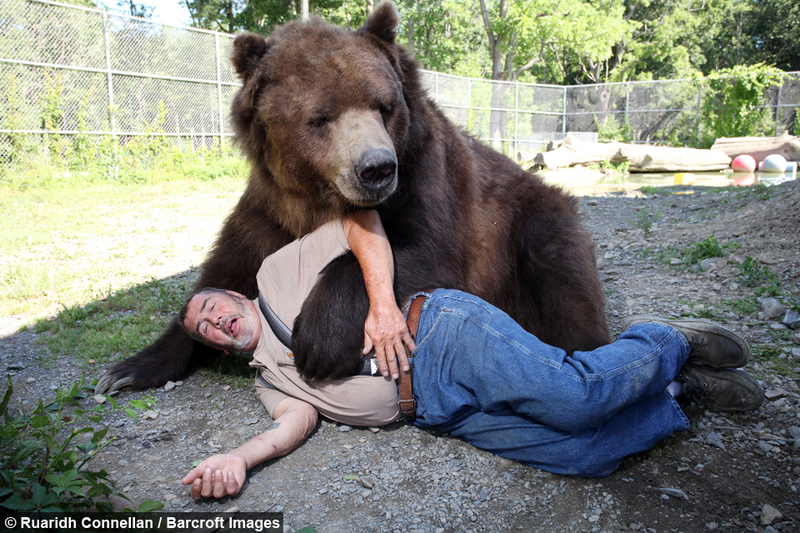 They say the only time they really have to take extra care is during the mating season when the bears are ‘not quite themselves’. 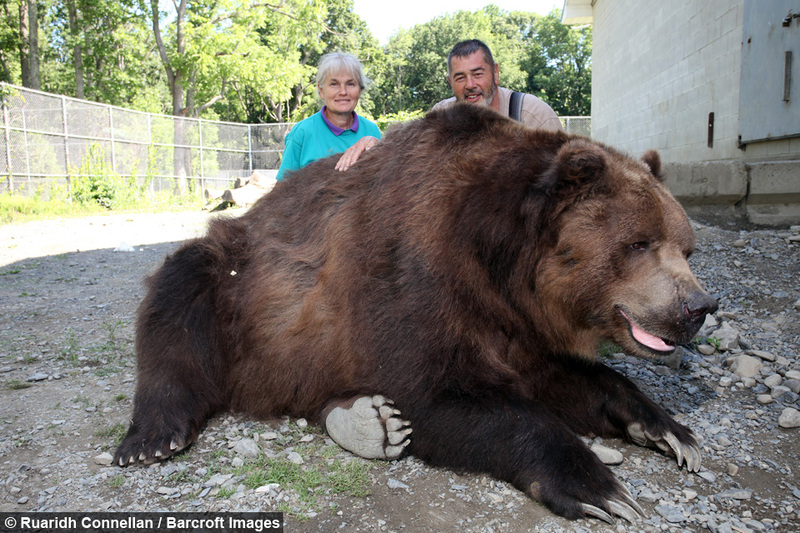 Petite Susan, 57, is dwarfed by her giant bear family - but they see her as their mother. 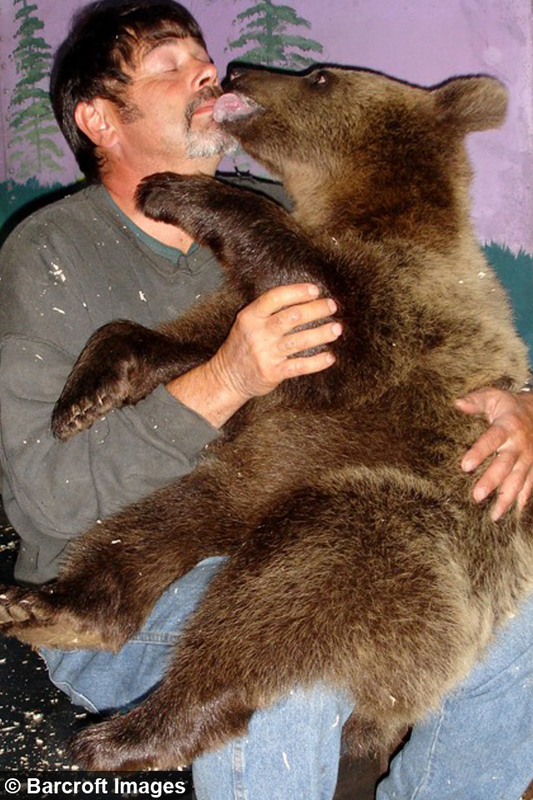 This includes a Syrian bear called Jenny who still suckles on her finger for comfort like a bear cub in the wild. Susan said: “She looks at me like I’m her mother. I love being around her and I’m happy she feels that way about me still even after all these years. “It’s a wonderful thing to watch them grow up and to have them from very little and make an impression on them. “We have had Jimmy for 21 years and got him as a little cub and he has been with us his whole life. “The bears are everything to me and I would do anything from them." 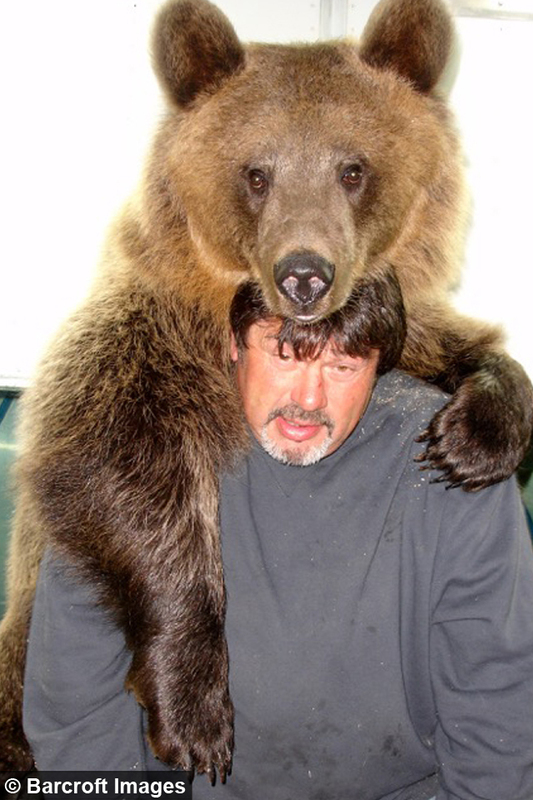 But as with any family it can be extremely challenging when one of the bears dies. So far they have had to mourn the loss of four bears - each of whom have their own gravestones. Jim and Susan are now looking to the future and securing the Orphaned Wildlife Center for generations to come and hope to expand the facility and care for even more bears. 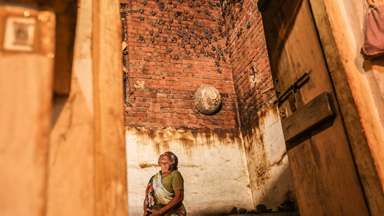 They also rely on donations to ensure the animals get the best quality of life possible. Kerry Clair, director of the Orphaned Wildlife Center, said: “This center is a labour of love. “No-one here gets paid, including myself, Susan or Jim. Every dollar raised goes directly to making the lives of these animals better. Our goal is to raise enough money to expand our enclosures, add new enclosures and create a fund to continue this center, long after we are gone.